Leucophores are flattened, elongate, reflective cells found in the skin of many shallow-water octopods, some cuttlefish and the squid Sepioteuthis (Hanlon and Messenger, 1996). 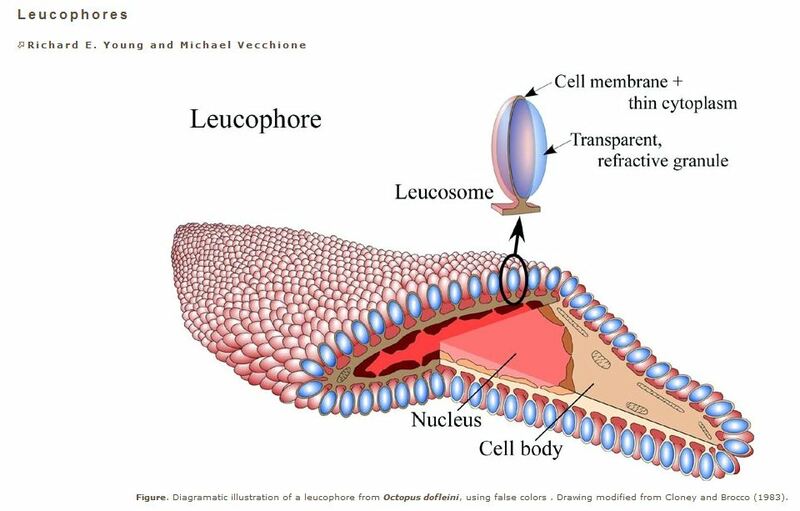 According to Cloney and Brocco (1983) each cell body of a leucophore contains a nucleus, scattered mitochondria and 1,000 – 2,000 peripheral knobs called leucosomes. Each leucosome contains a clear, colorless granule about 1.2 µm by 0.7 µm that can be seen to be refractile is fresh octopods. The granule is surrounded by a thin layer of cytoplasm within the cell membrane and is attached to the cell via a narrow stalk. The leucophore reflects whatever color of light illuminates it. There is no color discrimination and no effect on the color by the angle of illumination. Under white light the leucophores appear to be white. The leucophores, therefore, simply produce scattered reflection of ambient light. The leucophores sometimes occur in dense patches that appear as white spots on the cephalopod when seen under white light and when not obscured by chromatophores. They are less concentrated in other parts of the skin, at least in Octopus. Leucophores lie deep in the skin (i.e., in the dermis) beneath the stratum that contains the chromatohores and within the stratum that contains other types of reflecting cells (Cloney and Brocco, 1983). The ability of leucophores to reflect the ambient colors of the environment are thought to be an important factor in achieving a general color matching between animal and background (Hanlon and Messenger, 1996). Such passive concealment is especially important considering that these cephalopods are colorblind (Messenger, 1979; 1996). 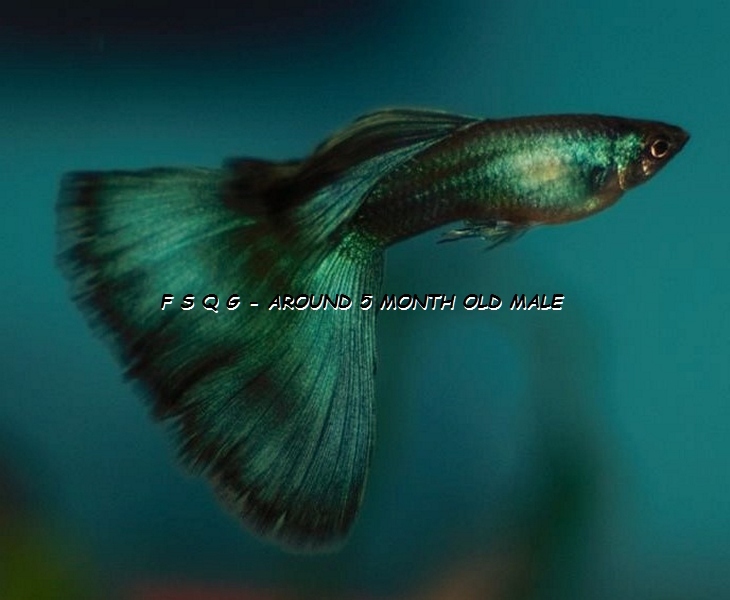 This entry was posted in Guppies anatomy & genetics and tagged guppy color genetics, Guppy Genetics, Leucophores. Bookmark the permalink.